You need more JUNK on your Facebook don't you? HUGE thanks to our generous supporters for their pledges to help JUNK finish its second album: YesIsMoreFun! YesIsMoreFun was recorded at 3-Leaf Studios with Sean Cooney. Amazing professional artists who get down and get JUNKy. Marten Niner is the front man and driving force behind JUNK. His passion for living happily and sharing his Knowledge with others inspire JUNK's positive message and musical outreach. By day, Marten is the wholesale manager for Monarch Wellness ... a progressive wellness center in the heart of Scottsdale. Managing the HUXTON, KIVA and OMAHA FARMS brands for them is almost as much fun as playing music with JUNK ... and he usually gets to do both as the company is very supportive of the arts. 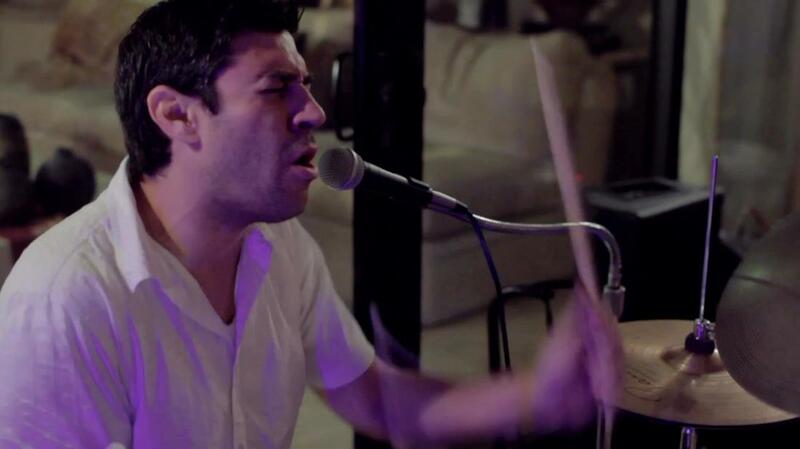 The solid and funky beat behind the JUNK sound, Kris Gonzalez has been with us since 2011. Kris is all about having fun. A school teacher by the light of day ... we would have loved having this guy as a teacher when we were young. The guitar stylings of Nick Kirby aka "Kirby" have been gracing JUNK since 2011 or so. He is the sole reason we were able to capture the magic in the JUNK Live 2016 album and his soulful sound can be heard. He recently married the lovely Jenn Sue and moved to San Francisco thus expanding JUNK into another state ... that's right ... live JUNK is now available in Arizona AND California. Charge Michael and Dave Gary, original members of JUNKtheband are instructors at Desert Ridge Music Academy. DRMA is the most innovative music lesson facility in the North Valley of Phoenix, Arizona. With over 100 years of combined music experience, their staff is constantly developing new methods of learning while building confidence with private instruction, individual development, and group performance. Dave Gary's first gig with JUNK was in a dirt field on a First Friday in downtown Phoenix to raise awareness for Valley Youth Theatre. The more we got to know him, the more impressed we were with his philanthropy and dedication to teaching kids of all ages how to love music. 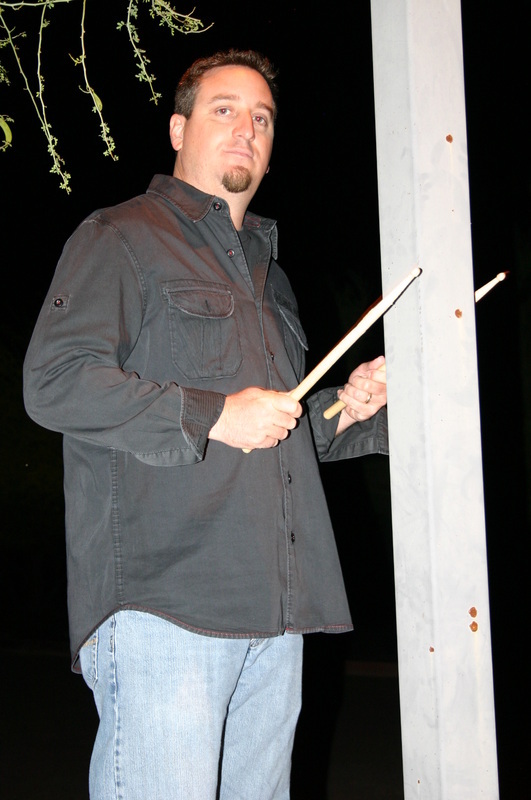 Dave is an inventive drummer and likes to leave the drum set to play tables, chairs, glasses, stand-up basses and such (that example was when he was warming up for what has been called The Wood Floor Dance Drummer Syncopated Feet Versus Hands Dance Battle of All Time with Tap 24.7). Jim Cunningham is an original member of JUNK and the lynchpin that brought all of the JUNK members together. He brings his Wooten-Claypool-esque style to our sound. His passion for music and of course the bass has inspired JUNK to flourish and try new things. Affectionately known as the "just one more" guy, he has a knack for connecting with people and sharing his life. A comedian at heart, Jim keeps us laughing. Brett James Phillips was key in getting the "a little jam, a little funk" project off the ground. As Jim's and Marten's music instructor from around 2006 to 2011, his influence defined the styles of JUNK's first three albums: JUNK the album, JUNK on tap and Another Man's Treasure. 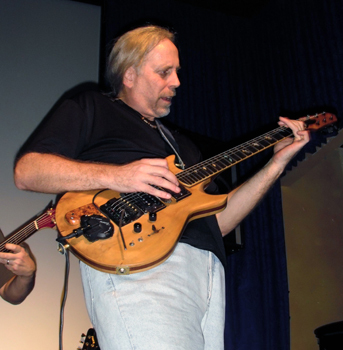 He is a well known luthier in the Phoenix area and teaches guitar and bass. Absynthe and the Green Fairy is possibly the best example of what Brett brings to JUNKtheband. Charge Michael is one of those kind of guys that can text, smoke a cigarette and rip out a drum solo at the same time ... seriously. Entrepreneur, musician who plays we don't know how many instruments, computer whiz, recording engineer ... the list goes on. Anytime we can beg him to get on stage is a true treat. In their spare time, Dave and Charge raise money to provide free guitar lessons to underprivileged kids. Yes, they are that cool. Memorial Day weekend and the infamous tale of the two drummers named Pat who showed up at the same time for different gigs at the same house to play for and with our JUNK ... or something like that. Moksha. Very cool dudes indeed. Tap 24.7 blew our minds at first big JUNK show at Dave & Busters. Suzy Guarino and amazing troupe have wowed audiences with JUNK at Dave & Busters, First Friday Art Festival and Alice Cooper'stown. Check them out on Facebook. Tap 24.7 professional dancers include Jenefer Miller, Kelly Zwolinski and Mike Wittmers. Chris Alcaraz was kind enough to join us at Alice Cooper'stown for an amazing performance. His unique styling and stand-up bass was a huge hit. Check out his band, Chris Alcaraz & More Love on Facebook. The Sugar Thieves played with JUNK in 2010 at Dave & Busters. What an amazing experience for us all. At the end of the show both bands got on stage and put on quite a performance. So good in fact, that JUNK invited Meridith Moore to sing vocals for three songs on Another Man's Treasure. Copyright ©2008-2017 JUNKtheband All Rights Reserved.